Hey everyone, long time no post! I thought I would share my nursery design with you all as a fun first post back! When my husband and I found out I was pregnant again we were beyond thrilled and are so excited for our sweet little boy to have a sibling! Being the design lover I am I immediately began thinking of how I wanted the nursery to look and what theme to go with. This time around we did not find out the gender of the baby, we knew that I was having a boy with my first pregnancy so we thought we would give this whole surprise thing a whirl! However this posed some initial problems in my mind when I thought about the nursery and how I wanted to decorate it. It also was interesting because we knew we would be moving this summer and being due with my little Mayflower in, surprise the month of May, my husband wondered if we should even bother setting up a full nursery in our house here were we will be moving 5/6 weeks after baby arrives. 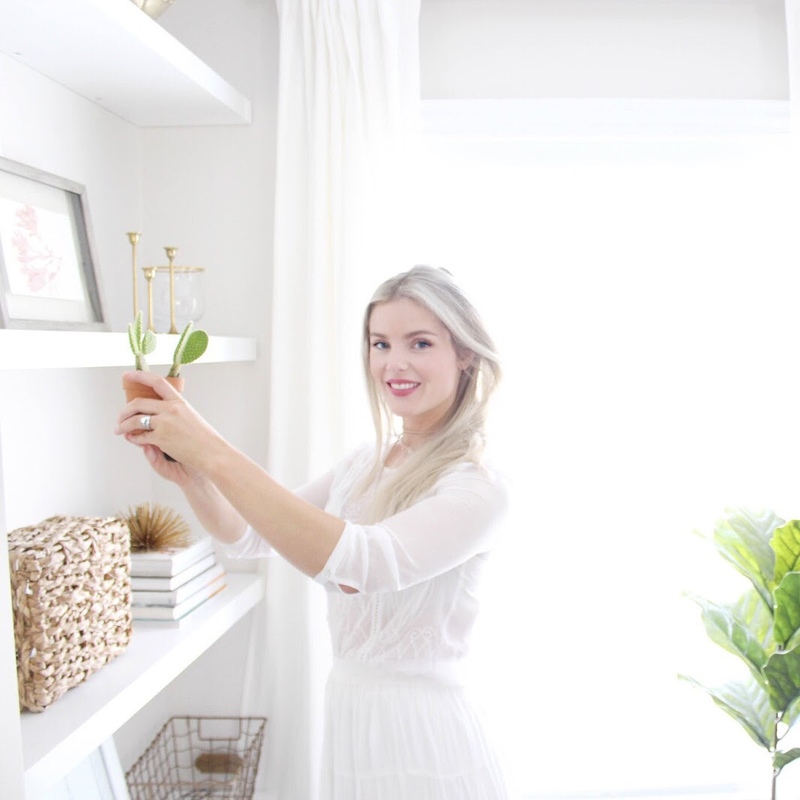 Well...there was simply no way I would not be able to set up a nursery in our current home even though the baby would barely be in it before we moved because A.) I already didn't know the gender and that was hard for planning so I couldn't really shop for baby, and B.) You throw not setting up a nursery into the mix and basically you end up with a crazy pregnant person haha. So I met my hubs with what I felt was halfway and told him he didn't have to bother painting the nursery a new color before we moved (its currently a soft blue from when my son was in there) but I would however be setting up a room! Besides it will make setting up the nursery in the new home a lot easier where I will already have everything I need. (that's is how how I justified it haha). 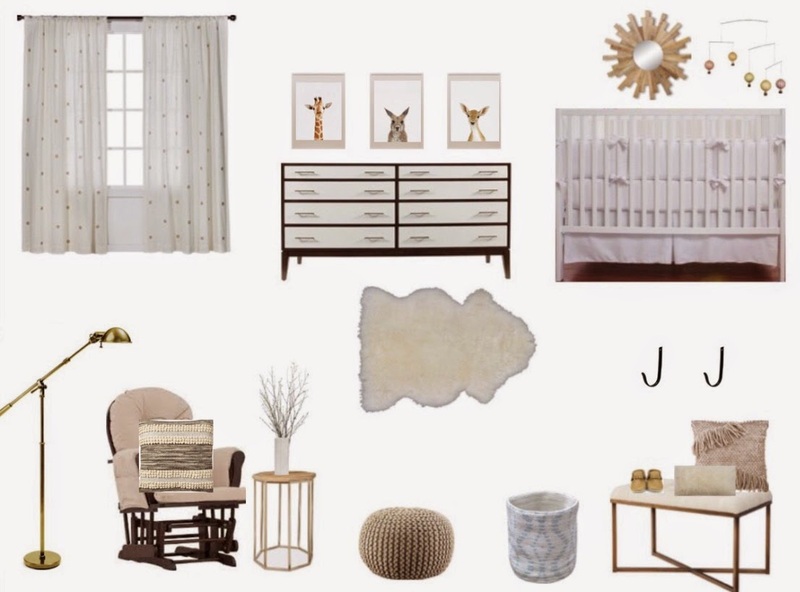 Alas that brings me to this mood board I had created for what I wanted the baby's room to be like. I knew I wanted it neutral (obvi) and cozy feeling so that meant lots of texture and some warm tones. I wanted to use my sons dresser/changer and also incorporate the glider I already had into the design and decided to go with golds, taupe's, creams and whites, with a little splash of color here and there. With the room almost being complete I have to say I am so thrilled with how it is looking and it definitely gives the feeling that I hoped for when I was designing it. We are so eager for our little bundle to get here and feel like it's the perfect space for a little boy or girl. I will post some reveal pics soon so that you guys can see!